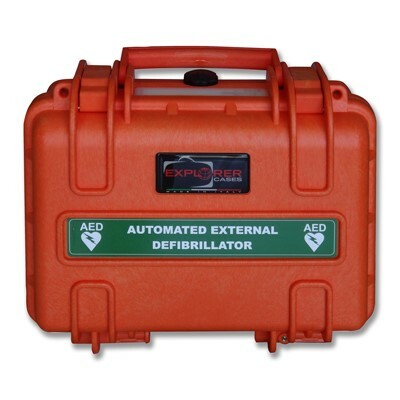 This watertight / airtight Explorer case is ideal for storing the Samaritan Defibrillator unit in marine or dusty environments. Supplied with a rechargeable moisture absorbent to remove any moisture that might be present in the atmosphere on opening the case. Lifetime warranty. Virtually indestructible. Complete with AED signage. Bright orange for high visibility.